It’s early in the morning. Millions of people get ready for the day. As the news plays in the background, the bright smile of “The Today Show’s” host Matt Lauer shines from the TV as he says good morning. But the smiling man on the screen who made people’s day a little brighter also sexually victimized or humiliated many women. On November 29, NBC News fired Lauer, the co-anchor of “The Today Show” for 20 years. Accusations against him for “inappropriate sexual behavior” came from a coworker. With this complaint about Lauer’s behavior came many more accusations from his other victims. These allegations were a shock to many because they had been watching Lauer every day, depending on him to give accurate news. They watched him every morning and listened to him say the names of those in the news headlines, oblivious that a name would soon be his. On November 30, the day after Lauer was fired by NBC, he released a statement of apology. “There are no words to express my sorrow and regret for the pain I have caused others by words or actions. To the people I have hurt, I am truly sorry.” He also went on to say that “some of what is being said about me is untrue or mischaracterized, but there is enough truth in these stories to make me feel embarrassed and ashamed.” Although Lauer’s case is the most recent, there are countless similar events where men have victimized women. Recently, women who have been fed up with keeping silent and feeling powerless stood up and named the men who made them feel threatened and victimized. To what degree do you believe one person can make a difference? On December 6, TIME Magazine highlighted these women by announcing their “Person of the Year” as the “Silence Breakers” of the #MeToo Movement. 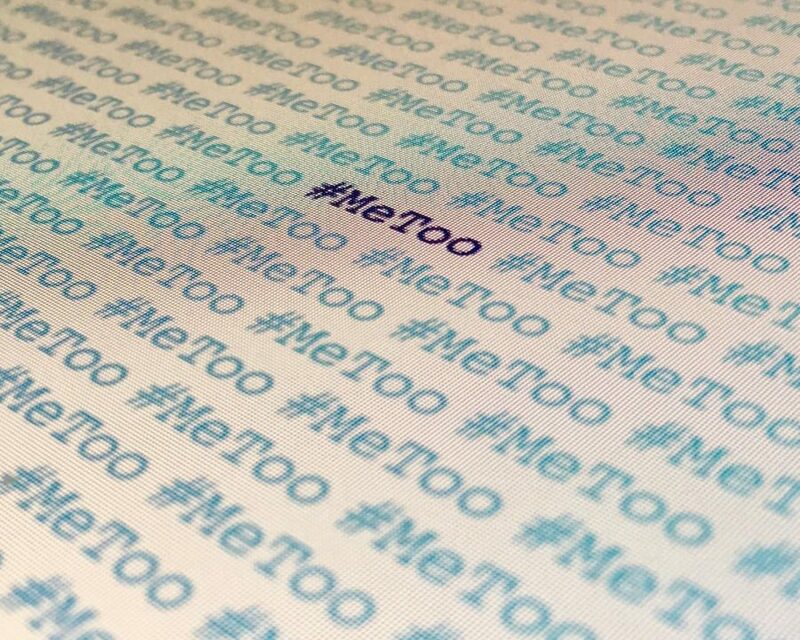 The #MeToo movement found its voice on social media. It has helped victims of sexual assault or harassment share their stories and experiences. It also inspired other victims to do the same. On the cover of the magazine there is a photo of celebrities, such as Taylor Swift, and other women who spoke out about their stories. In the bottom right corner of the photo, there is an elbow. It symbolizes all of the women going through similar conflicts who don’t have the power and/or ability to speak out about the acts being committed against them. It also represents the women who feel ashamed to speak their truth. The elbow shows that the women who cannot yet speak out publically are not being ignored. Usually TIME Magazine awards their cover picture to the “Man or Woman of the Year” who “wielded the most influence in the previous 12 months” according to their website. But this year, the cover photo was awarded to a group of women changing sexual harrassment that sometimes is silenced in today’s society. The strength of these women will hopefully motivate other victims to stand against sexual abuse and put an end to it. Social activist Tarana Burke, the woman identified as being behind the #MeToo Movement, actually created it as a way to give victims of sexual assault a voice and justice. This was in 1997. Burke started the movement after a teenage girl from a youth camp she was directing had the strength to reveal her sexual assault story. According to Sandra E. Garcia’s article in The New York Times, Burke said, “It really bothered me, and it sat in my spirit for a long time,” and she added, “I didn’t have a response or a way to help her in that moment, and I couldn’t even say ‘me too’.” Later she came up with the phrase #MeToo in 2007. This #MeToo Movement has allowed victims of sexual misconduct or abuse to come forth. In doing so, they have begun to change our culture. Actress Alyssa Milano promoted the hashtag on October 17. The next day, there was a flood of stories and support on different social media platforms from victims of sexual harassment, revealing what they had been through. According to The Guardian, there have been 50,000 retweets and the hashtag was trending as number one on Twitter. These situations show how much of an impact one person’s courage can have. The strength of one person can inspire so many others who think they stand alone in the face of violence and abuse. One person can start a movement that gives countless victims an avenue to voice their struggle and find the justice they deserve.